The U.K. has blamed Russia for the attack in the English city of Salisbury. LONDON — The daughter of ex-Russian spy Sergei Skripal has made her first official statement since she and her father were poisoned by an alleged Russian nerve agent on British soil one month ago. 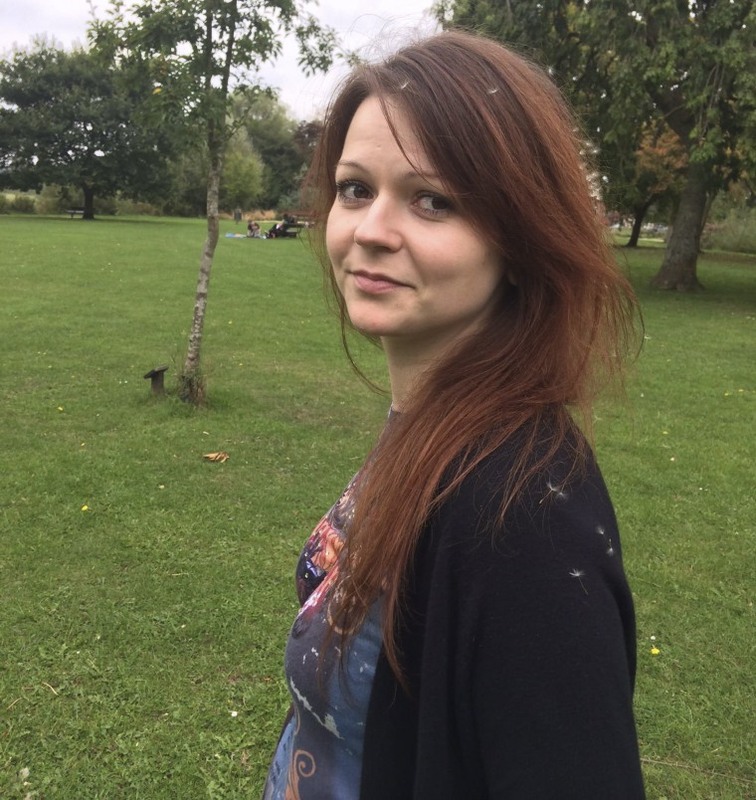 Yulia Skripal said her "strength is growing daily" after regaining consciousness last week. "I am grateful for the interest in me and for the many messages of goodwill that I have received," Skripal, 33, said in the statement released by London's Metropolitan Police. She called the experience "somewhat disorientating" and thanked locals and hospital workers for aiding her recovery. The police statement did not give an update on the condition of her father, Sergei Skripal. Reports say he is critically ill but stable. The Skripals were found slumped on a public bench in Salisbury, the English city where Sergei Skripal lived, on March 4. The U.K. says they were poisoned by a military-grade Novichok nerve agent developed by Russia, and has laid the blame squarely at the Kremlin's door. More than a dozen Western allies — including the United States — have expelled more than 150 Russian diplomats in retaliation for the attack. Russia has responded by kicking out the same number of envoys, and President Vladimir Putin has called the accusation "nonsense." After Yulia Skripal's statement Thursday, Russia's ambassador to Britain, Alexander Yakovenko, told reporters he was pleased at the development and wished her father well in his recovery. "I am really happy and I hope that Sergei Skripal will also recover," he said. "I am quite sure that one day Yulia will come back to Moscow." Russian Foreign Minister Sergey Lavrov, meanwhile, described the British accusations against Moscow as a mockery of international law. Speaking at a news conference Thursday, Lavrov insisted that the poisoning case was fabricated by Britain to "demonize" Russia. The Skripal incident has brought on a new low in Western-Russia relations, which are at their worst since the Cold War, according to some analysts. Tensions were already high thanks to Russia's alleged interference in the 2016 presidential election, its annexation of Crimea and its alleged support for rebels in Ukraine.